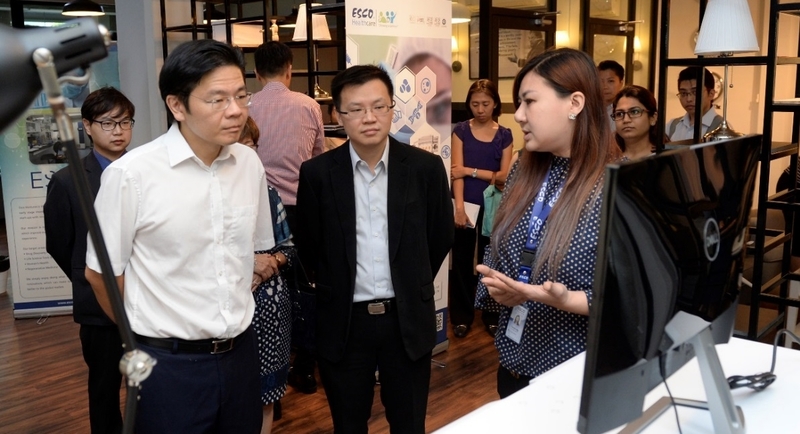 Esco Group, a renowned Singapore-based life science company, hosted a visit by the Minister for National Development and Second Minister for Finance, Mr Lawrence Wong on 31st January 2018. Mr Wong was introduced to Esco Aster, the Contract and Development Manufacturing Organization (CDMO). Bioprocessing Scientists were engaged in a focus group discussion regarding the prevalence of chronic diseases and the increasing demand to meet healthcare needs. 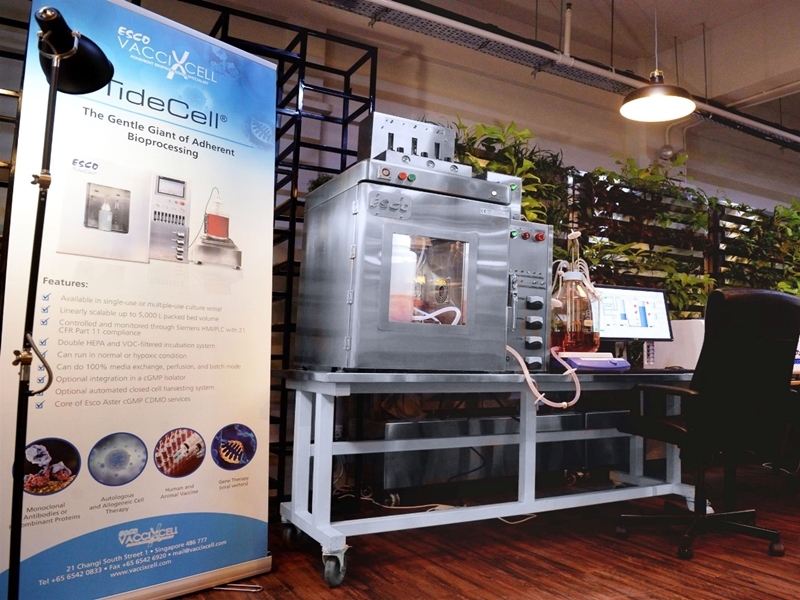 Various research collaborations with (1) National University of Singapore, (2) A*STAR’s Bioprocessing Technology Institute and (3) A*STAR’s Institute of Molecular Cell Biology were discussed. See Annex A and B.
Esco’s TideCell® System is a production scale bioreactor that enables higher vaccines and biologics production with minimal sheer stress. 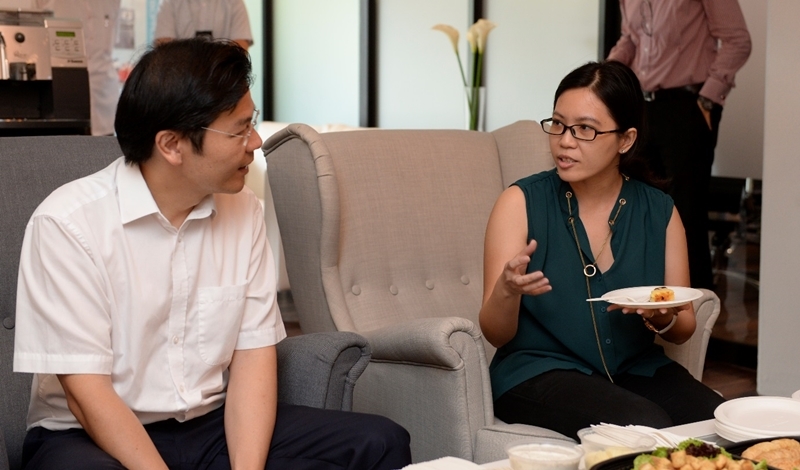 Dr. Calista Ng explaining the research collaboration on Chimeric Antigen Receptor T-cell Therapy (CAR-T) with A*STAR’s Bioprocessing Technology Institute. 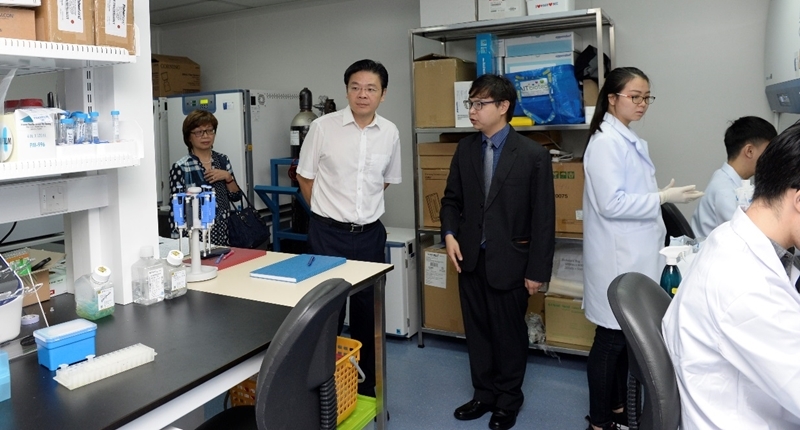 Mr Wong and Dr. Geraldine Chiew in a dialogue regarding the research collaboration with A*STAR’s Institute of Molecular Cell Biology on Hand Foot and Mouth Disease vaccine. Esco Aster Chief Executive Officer, Mr Lin Xiangliang, leading Mr. Wong through operations of the core laboratory.